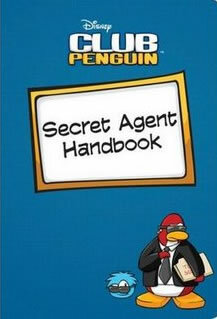 Secret Agent Handbook is one of the books which can be unlocked in Club Penguin. Here are some codes that can be used to unlock the book. If you don’t get the above question, I suggest that you click the X button and click the coin again. This will unlock the Blue Book or 2000 coins. Be sure to check out the other Club Penguin Book Codes. Your site is very very good! I am a big fan! I will be visiting this site whenever I can. thx i got the book!! hey the 1 that says What is word is on page 46, 9 words from the left on line 20, doesn’t wrk on mine!!! Click X until you get one of the shown questions. my question is:what word is on page 71,3 words from the left on line 15? I have the book a year ago.At least i got some money 🙂 thanks for the hints.It’s a shame that they don’t put other items there.